Stay up to date on current events in Morocco. 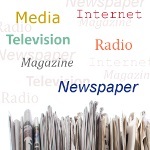 Links to media in Morocco : newspapers, magazines, radio stations, television channels and online news sources. You can find more links to (Arabic-language) newspapers, magazines, radio stations and television channels on the Arabic Media page.